From the challenges and rewards of ambasadorship, to sexism and romance in poker. 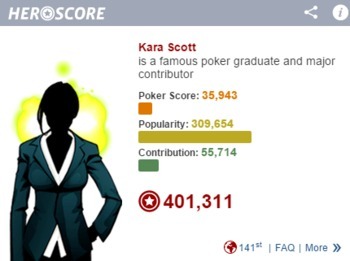 Interview with one of poker's best-recognized and best-loved hosts and ambasadors, newly joined RankingHero member Kara Scott! You grew up in a tiny community in Northern Alberta, Canada. Did you ever play poker as a child? Does anyone in your family play? We played a lot of card games in my family growing up. We spent a lot of time traveling or camping during the summers and our parents certainly preferred it if we kids were playing cards rather than arguing and scrapping! Poker wasn’t often our game of choice but we did play 5 card draw from time to time. We played a lot of canasta and gin with the adults as well. My favorite part of your bio are your linguistics studies and teaching degree, combined with martial arts training :) Can you tell us a little about what attracted you to each and what they have given you? I was always a fan of martial arts movies when I was a kid. Give me a good training montage and I'm hooked! I was very clumsy but still threw myself into sports at school and I was terrible at all of them! Once I'd moved to the city for University, I would pass a Muay Thai gym on my way to class. With a good push from someone who loved me, I started training there and found that I actually wasn’t terrible! I loved the sense of extreme physicality and being completely exhausted at the end of a session. I trained hard and ended up doing sparring competitions. I won 4 out of my 6 fights. Being in the ring was terrifying but I learned that I was a whole lot stronger that I had thought, in so many ways. At the same time, I was doing an education degree. I’d never felt strongly about any career but I knew that I would be a good teacher and it was a job that would let me travel the world. The linguistics degree was done out of pure love for the subject. I had taken a linguistics intro class for my B’ed and fell head over heels for it. One side of the disciple is very mathematical and full of equations while another side is all about people and culture and communication - all things I'm fascinated by. It didn’t hurt that Noam Chomsky is known as the father of modern linguistics! It was your career as a television host and producer that eventually led you to the live tournament tables as a player and you’ve been adding cashes from various events every year since 2007, but you never seem to have gotten ‘hooked’. Do you consider poker playing part of your job as poker host, producer, and event organizer? Or is it a passion you would indulge in more if it weren’t for your professional obligations? Although I’ve been lucky to play at a professional level, I’ve never considered myself a professional poker player as it’s never been the only (or main) way that I make a living. I call myself an enthusiast rather than a pro. I enjoy this game and my life would not be the same without it however, I love my broadcasting work more so that will always be the priority for me when it comes to deciding where I spend my time improving. The fact that I can do both in my career and that they inform each other so well, that’s a huge bonus. I’d say playing poker is part of my job, absolutely. When I have had sponsorships as an ambassador because of my TV work, part of my contracts usually included buy ins as part of my compensation. I have huge respect for the many successful pros I know, because the amount of time and work it requires to do that as a career is substantial. Do you ever play online? How would you compare the two (live/online poker) in terms of your own enjoyment and motivation to play? Playing online got tricky for me as I seemed to keep moving to territories where it was restricted! I played a lot online and loved it when I was living in the UK. Then I moved to California after getting the job on High Stakes Poker, and I quickly had to give it up after Black Friday. After that, I moved to Italy where I did play a bit online but as a restricted territory, you can only play on .it sites there. The market in Italy has seen a huge contraction so there wasn’t much for me to get involved in. I’ve recently moved to Slovenia so I’ll be able to get back online. Because I’ve spent years not being able to play online, it’s a hard thing to quantify. I remember loving playing back in the UK and I hope I can regain that, because it was a really fun pastime for me. Also, without being able to play online, it’s very difficult to be a better player. Who are your own heroes in poker and whose praise and respect would mean most to you? That’s a tough one! Praise from any good player is always welcome as they don’t tend to dish it out too easily. On the broadcasting side, the voices that mean the most to me are from those people who do the same kind of jobs or who are in TV production because they really get the challenges of the work. When Lon or Norm from WSOP tell me they think I’m doing good work, that’s a great feeling. Does success in poker come with a responsibility in your opinion? I think poker is no different from any other career in this regard. In my mind, success always comes with responsibility, but I know that’s not everybody’s understanding of it. What is the most challenging and difficult part of a poker ambassador’s obligations? I’ve spent an enormous amount of time on the road in the past 10 years and that can put a lot of strain on your private life. I’ve missed so many weddings, anniversaries, birthdays and just the general day to day stuff that friends do together. I have lost friendships because we've grown apart or perhaps they've just gotten fed up with me missing all of their important moments. I have a lot of friends around the world but I don’t get to see any of them very much. Carrying on and deepening friendships can be difficult but it’s worth the extra effort it takes. The travel can also be pretty exhausting at times. I’m writing this right now after 5 months on the road, having slept in 6 different hotel beds and eating almost no home cooked food whatsoever. I’m allergic to the detergent this hotel uses for it’s sheets apparently, so I feel pretty lousy and have one heck of a migraine. Plus, I miss my husband although thankfully I’m on my way home tomorrow. I don’t say this to complain about it because I have a fantastic life and a wonderful job and I love them both, but it’s important to know that there is a trade off to all the glamorous stuff. As former year-long partypoker ambassador, how do you feel about the recent bwin.party acquisition by 888 Holdings and how do you think it will affect the industry in general? I’m as curious as anyone to see how this all shakes out. One thing I’ve learned about the poker industry is that it’s hard to predict. 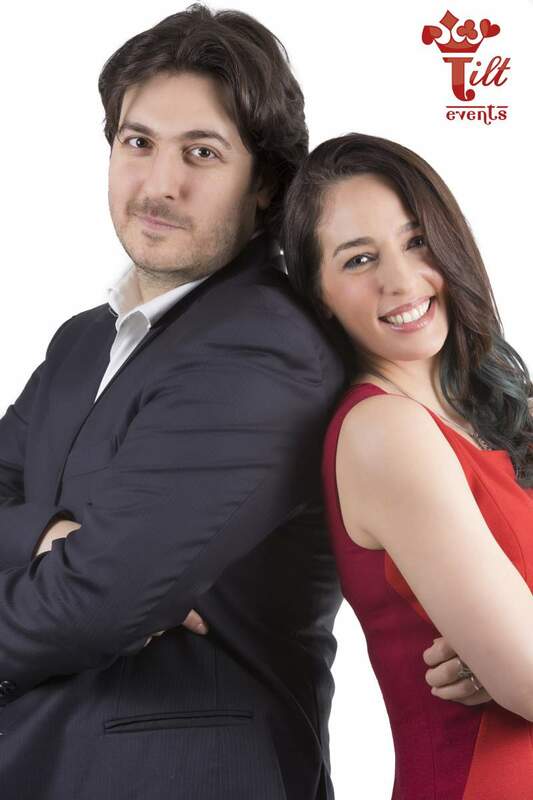 Soon after you left partypoker in 2014, you announced that you and your husband, Italian pro @Giovanni Rizzo are joining the Italian company Tilt Events. What exactly is your involvement? I’m really excited about this project. Giovanni and I have always loved Venice and the @Casino di Venezia is one of the most incredible places to play poker in the world. The company who organises and runs all of the poker tournaments in Venice (and now San Remo as well) is Tilt Events and after years of playing in and loving their events, we’re both representing them as well as doing some consulting for them. There is a ‘Tilt Cup’ event coming up very soon at the end of August and the schedule is great. Giovanni has a knack for scheduling and as a poker pro, he knows how important the side events are to a successful festival. We’ll both be there playing and hosting, plus we each have a special side event. Mine is the ‘Kara’s Knock Out’ which is a bounty tournament where I have an even bigger bounty on me. I wasn’t that easy to knock out in the first one we held, I managed to come 3rd! 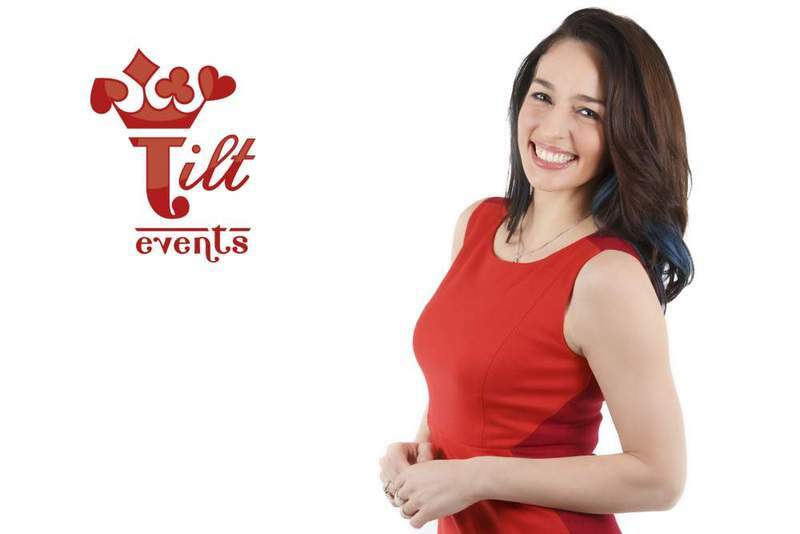 What does Tilt Events have in store for poker players and fans in 2015? First up is the Tilt Cup in Venice at the end of August which is a €450+50 Main Event with lots of great side events. Tilt Cup also run very regular smaller stakes tournaments in Venice and San Remo, called the Venetian Game and the Riviera Game. They get loads of runners and so the payouts are pretty juicy. We also have a bigger event in the planning stages but that will have to stay under wraps for now! You’ve been busy as usual during the World Series as the ESPN host. As an interviewer, who were you most impressed with? Do you have a favorite behind-the-scenes story you can share with us - from this year or last? Do you have a favorite to win the Main Event? It’s hard to pick a favourite because I get so invested in the players that EVERY year becomes my favourite! In general, I’m always amazed by the non-pros when they get so far. The Main becomes a much more difficult event as you go through it. There is a higher concentration of pros in the later days and fatigue can play a big part. These players are at the tables 12 hours or so a day and even the big pros say it can be almost impossible to sleep and eat well while you’re in the thick of it. It’s also really interesting to watch the faces of family members and friends who never really understood what being a poker player means. Now all of the sudden, their loved one is in this room playing for millions of dollars under the ESPN cameras… it can be overwhelming! 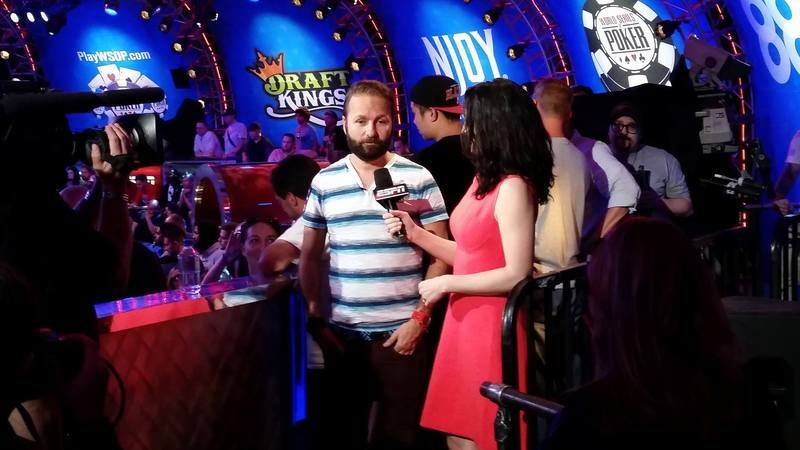 And one more thing **spoiler alert** seeing Daniel Negreanu bust out so close to the final table was heartbreaking. You could see how important this was to him. It's something he'd been dreaming about for his whole career and to get that close but fall short. Oof. You see him drop to the floor in devastation but what you don't see is how he shakes it off and then goes and does maybe an hour of interviews with various organisations. A lot of people refuse to give interviews after far easier exits but he was gracious and professional. I have so much respect for that. That's so true and then in 2015 I went and moved to yet ANOTHER new country, took on another language and a new business project in the Aria Super High Roller TV series! It’s been incredibly busy and stressful but all of it good stuff. Giovanni is definitely my favourite part of 2014, and any year. Apparently all of the massive changes happening should have made our first year of marriage super hard but it did the opposite. I’m constantly amazed by this awesome human who I get to hang out with forever. I’m a very, very lucky person. What are some of the best and worst aspects of a romantic relationship between two poker players? 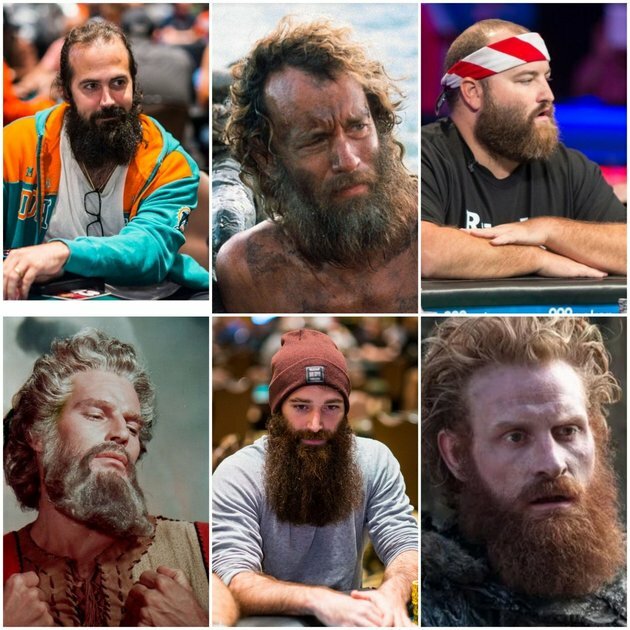 The poker industry is a very particular place. Our jobs mean we live unconventional lives and for anybody outside of poker, that can be hard to understand. Both of us being in poker means that we just ‘get’ it. I’ve spoken to pros who have a hard time explaining to their partner that life on the road isn’t as glamorous as it sounds. Or they have to try to explain why they’re not available to talk on the phone or didn't return to their hotel room at night because the cash games are really good. Or a million other things which poker players will just automatically get. It helps a lot to have that commonality. As for the downsides, I suppose it’s the same as dating people you work with in any industry. You want to be careful before you jump in because if it doesn’t work out, you’ll be bumping into that person at ‘work’ until one of you quits playing! You feel strongly about racism, sexism and any kind of ‘bullying’ and minority discrimination - online or in real life. How would you ‘rate’ the poker industry and the poker community in this respect? Any issues that you would like to see addressed? 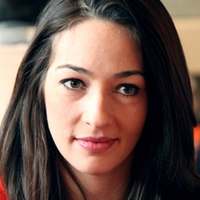 A big discussion is actually happening right now about sexism in poker. There are some very interesting voices out there talking about it on twitter and I’m glad it’s getting attention. Poker is a microcosm of general society so anything you see out there, you’ll see in here too, plus as with any field dominated by one gender, there’s going to be a need to talk about equality. For the most part, the people I know in poker are fantastic, smart and analytical people. There are some very loud and ugly voices too but that’s true of anywhere. 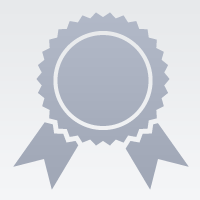 "For the most part, the people I know in poker are fantastic, smart and analytical people. ", just as you are @Kara Scott ! Great interview with someone that's a true ambassador for poker. I just booked my flights to Barcelona for #888pokerlive at the end of May. 🙌🏼 It’s my first poker and first trip since the baby.